oomph. : [oomph] makes. 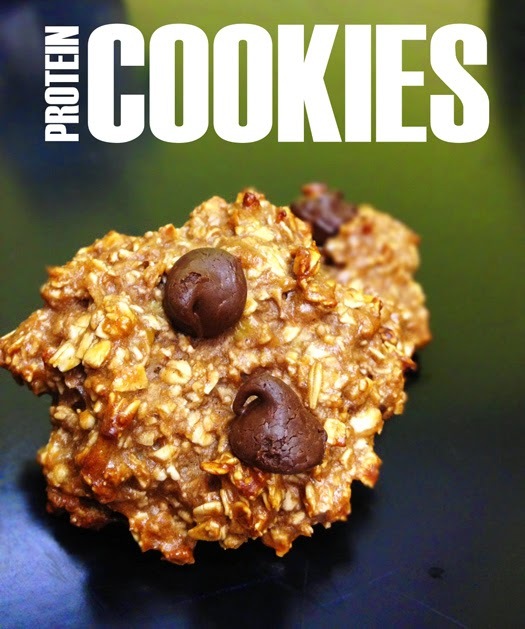 easy protein cookies. i am obsessed with these cookies! if you've been keeping up with my marathon chronicles series, you'd know that i'm trying to increase my protein intake during my marathon training...and i'm looking for variety. sure, the drinks are the best way to take in all that protein, but i can only handle so many shakes. 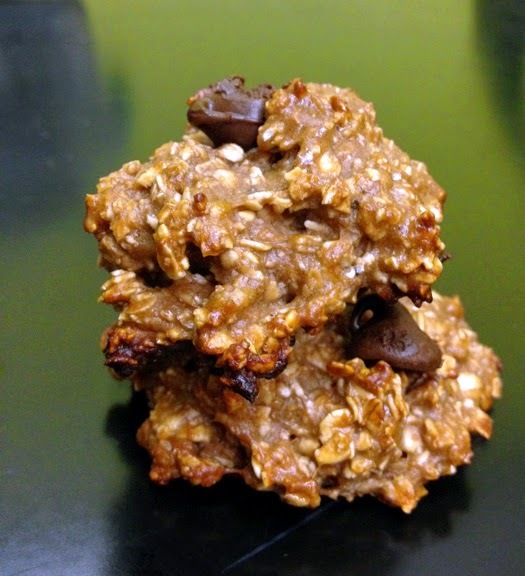 this 3-ingredient cookie is so quick and easy to make, that i whipped up this batch amid the morning rush. there are variations of this recipe all over the web, and i just had to try it for myself. i was skeptical that you could make a cookie out of just bananas, but you can. and it's good! i'm gonna be honest. not good as in gourmet, rich, gooey chocolate, sugary-sweet good...but healthy, getting-all-my-protein-and-it's-something-other-than-a-shake good. mix ingredients in a bowl. drop spoonfuls onto greased cookie sheet. *approximately 4g protein per my nine cookies. in this particular batch, i added a tablespoon of peanut butter and a few shakes of cinnamon, then topped the cookies with a couple of chocolate chips for sweetness. of course, you can play around with the recipe until you are happy with the consistency and flavor. in fact, another variation is to use less oats for a more runny consistency and make pancakes. and as always, you don't have to be training for a marathon to make these cookies. you can leave out the protein powder if it's not needed. do you have a quick and easy recipe to share? I don't cook and I hate myself for that! 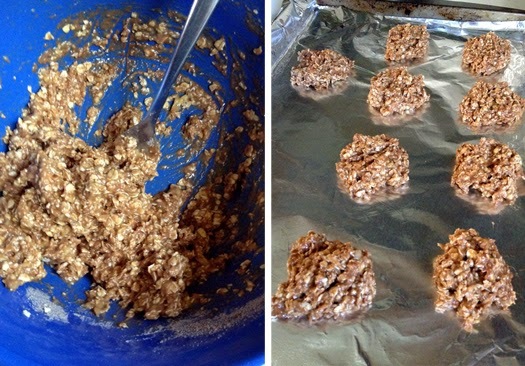 Because now I want to make those healthy cookies instead of eating and gaining from packed sweets, etc. They look really delicious! love that these are so easy to make. I hope you have a great week. I'm trying to find ways to have more protein in my diet. Thanks for posting these. So easy to make. Totally going to try them. 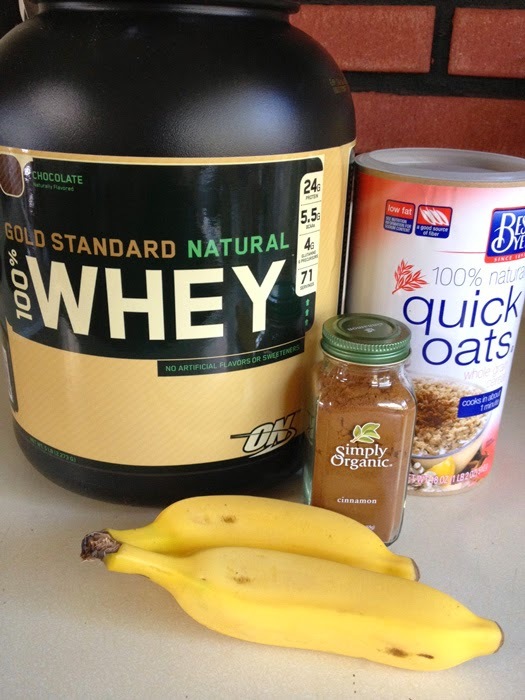 These seem simple enough even for me to make and I love that they have a good amount of protein. I'm pretty adept at cooking but baking somehow eludes me. lol, yes...there truly is a science to baking. i can never get it right. but with these, there's no way to mess them up! They look very good Becks and thumbs up for the benefits! Girl these look yummy! I love oats! These look awesome!! I'm def gonna try them!